The Truth About Navy MK V Anode Bars! 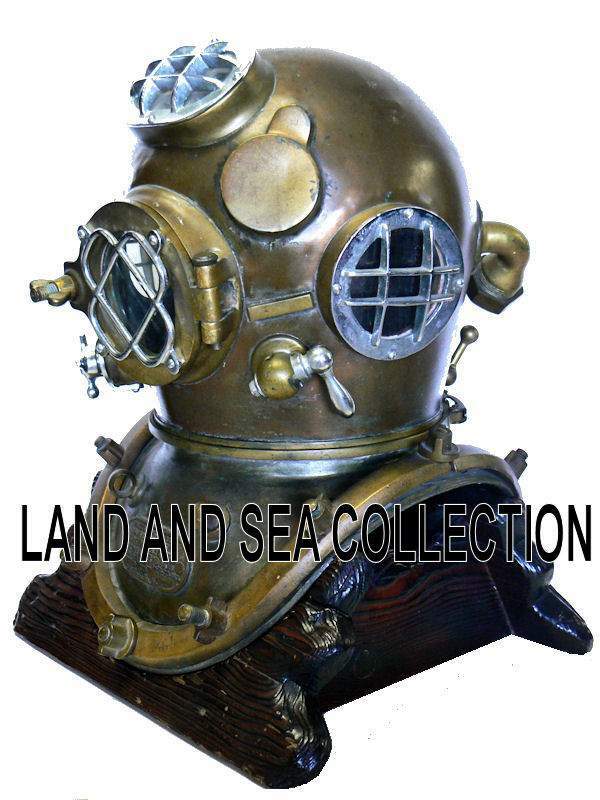 There is quite a bit of confusion as to what the bar is on most WW II Navy MK V dive helmets' left side between the front and side port. 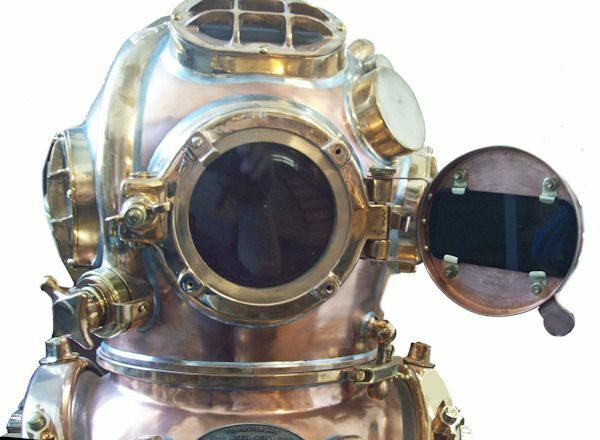 Many highly knowledgeable old time divers and numerous collectors of vintage MK V dive helmets refer to it as an "Anode Bar" under the mistaken belief that this was its intended use so we thought this analysis would be helpful to all that are interested in the history of the Navy MK V dive helmet. 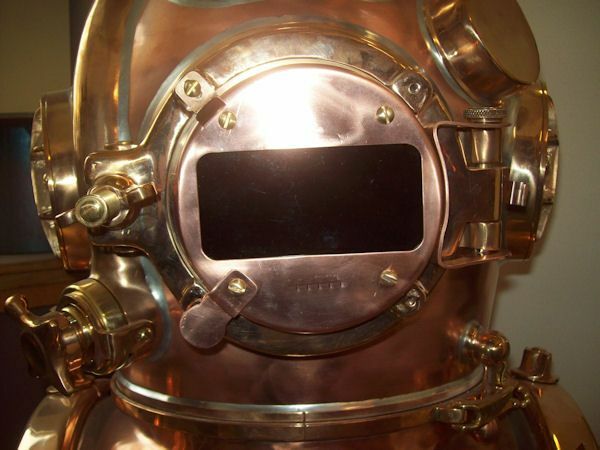 Here is the story behind this bar which was specified by the Navy for mounting the Welder's Lens in the specifications that were up-dated in April 1942. MOUNTING BAR HISTORY: The original 1915 Military Specifications did not include a welding lens for the MK V helmet. Hence the two original makers did not always include a bar to mount it on for the MK V’s they made in the early years, and it was not shown in the plans relating to that date. However, some helmets were ordered with the bar prior to WW II, so it is not an iron fast rule that all early helmets did not have the bar. For example, here is a 1918 Schrader MK V with the Lens Bar. There does seem to be a preponderance of early helmets that had a thinner bar than you will see on those made to the 1942 specifications. The Mil-Spec’s introduced in April 1942 had the complete specifications which included the swing out lens that went over the face plate, and a clip on the bar between the front port and the side port, which is frequently but incorrectly referred to as the Anode Bar. This is correctly called the “Welder’s Lens Bar”. Before welding, the lens was in the open position, and held there by the clip on this bar which is what it is for. There also are certain clips that mount where the front guard normally would be to hold the Welder’s Lens in place in the closed position. Four of the following pictures show this procedure. The Welder's Lens clip mounted on the bar. 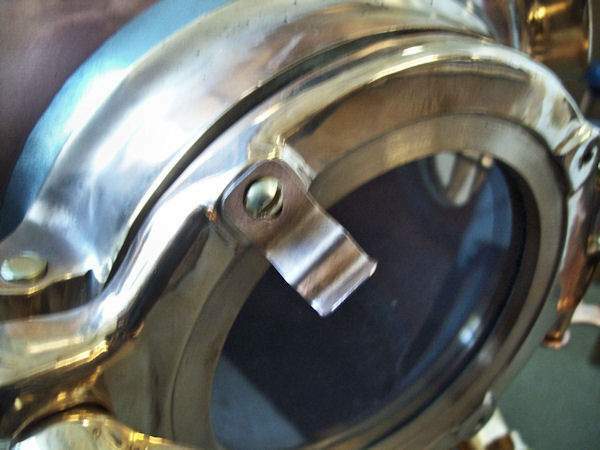 Welder's Lens in open position. DESCO & MILLER-DUNN MK V HELMETS: You would expect to find the Welder’s Bar on all DESCO and Miller-Dunn helmets because they use the 1942 Specs when they started production and this is what we found to be true. However, there certainly may be exceptions to the rule if a helmet was ordered without the clip or if one was taken off when in use. 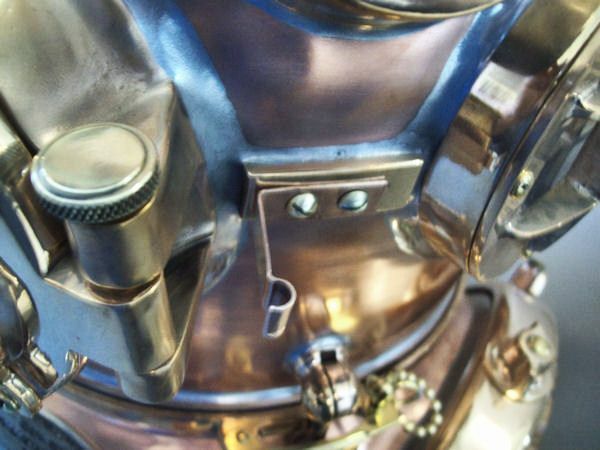 SCHRADER & MORSE may not have made the change immediately as we have recently discovered since some of the bonnets they used were based on the original specs. 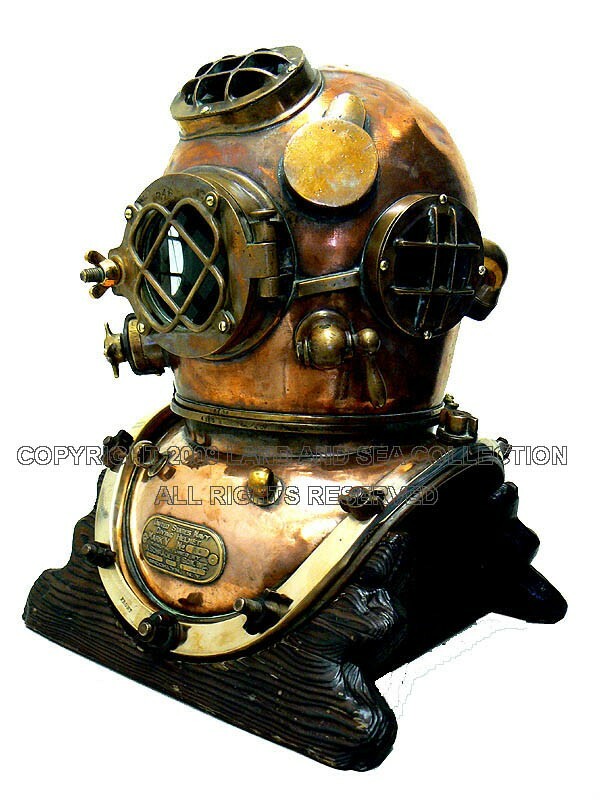 CONTEMPORARY NAVY MK V DIVE HELMETS are still being made by both DESCO, INC of Milwaukee, WI, and Morse Diving of Rockland, Maine. DESCO sells the MK V Welders Lens Cap and clips and Morse sells the lens cap. 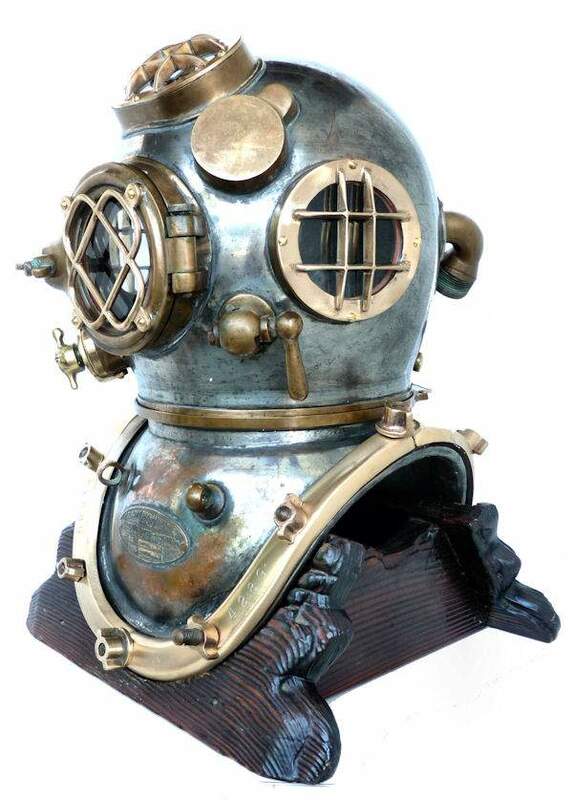 Ric Koellner of DESCO Corporation, the Milwaukee based diving helmet manufacturer, set us on the right course.